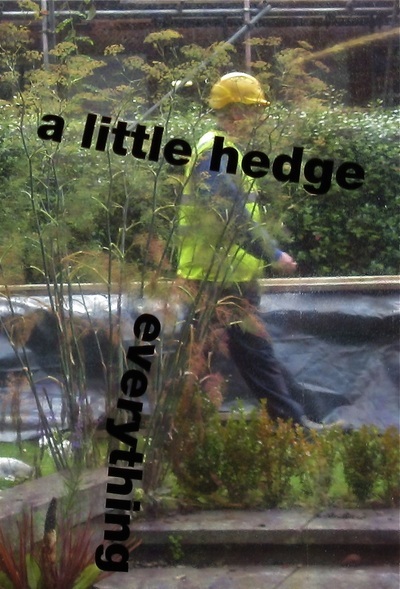 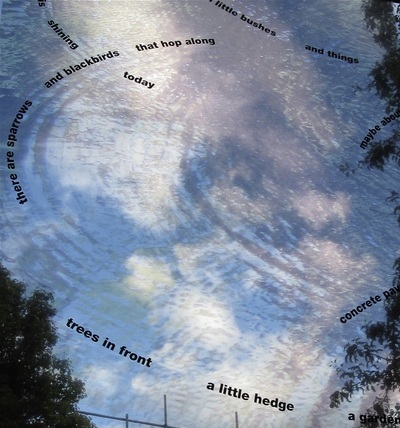 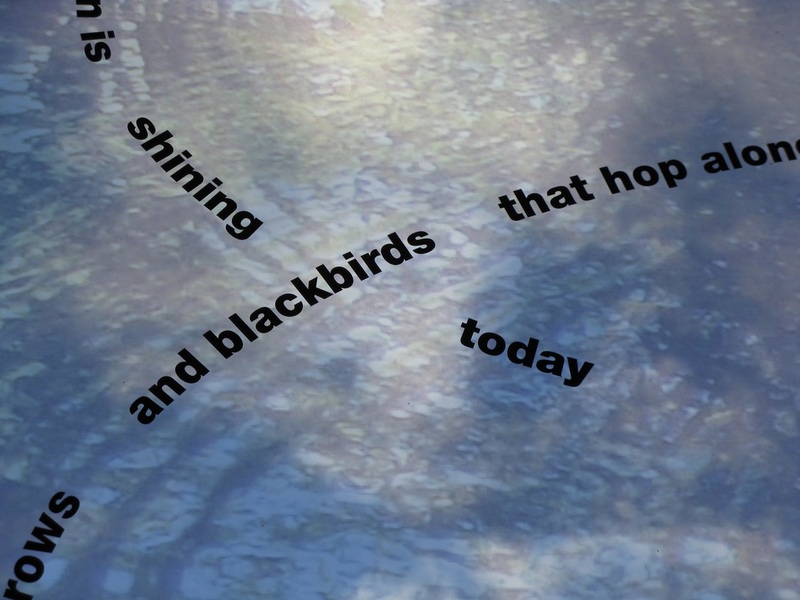 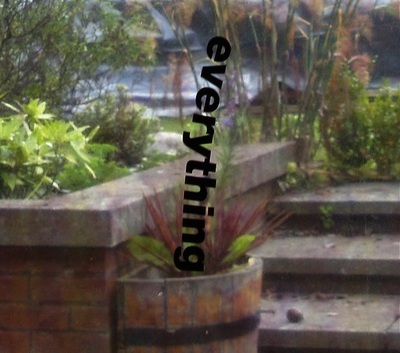 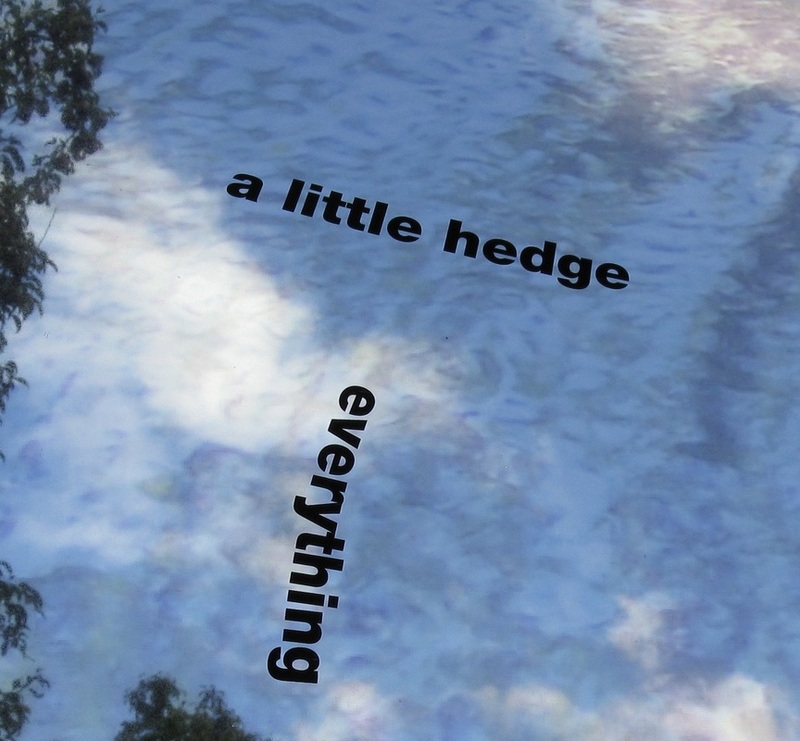 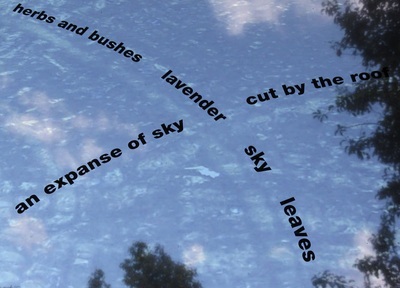 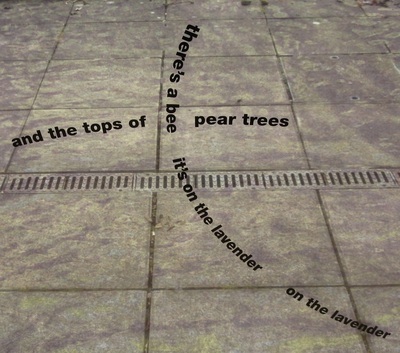 ​"Cosmopoetics: Mediating a New World Poetics"
“Long / Distance calls. 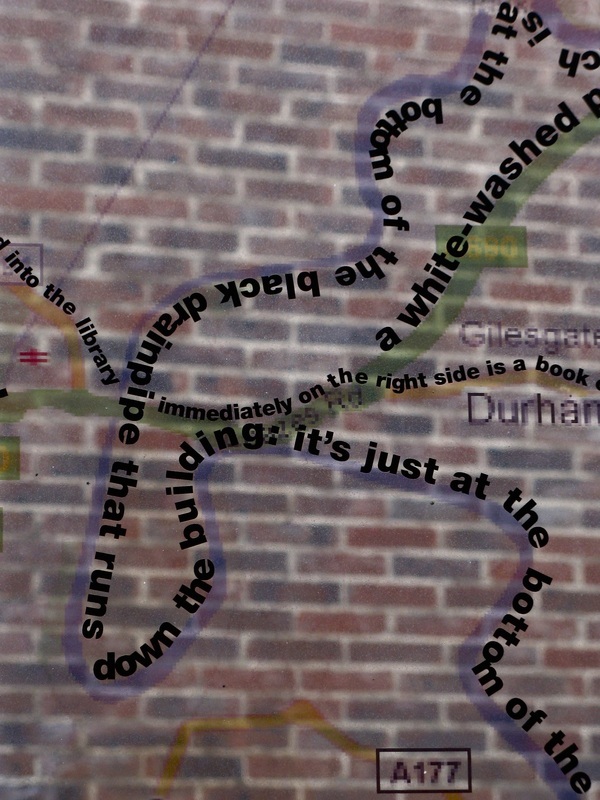 They break sound / Into electrical impulse and put it back again…..
Thousands of miles (and the Atlantic Ocean) separate Florida from England. 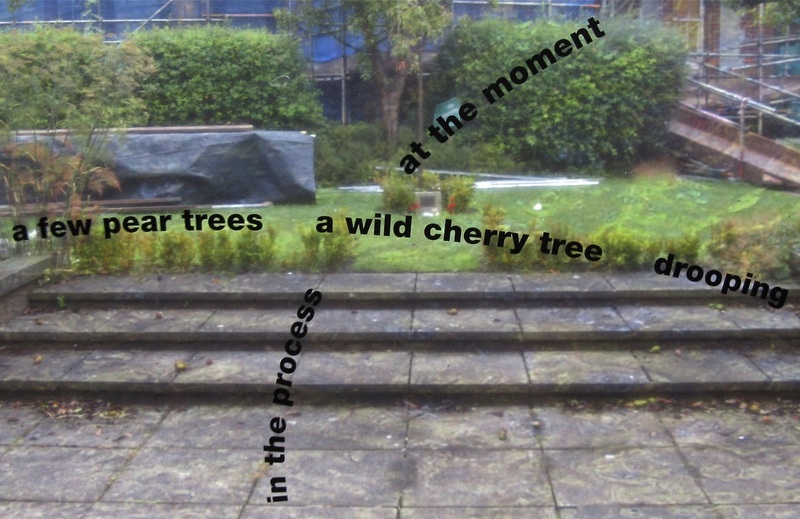 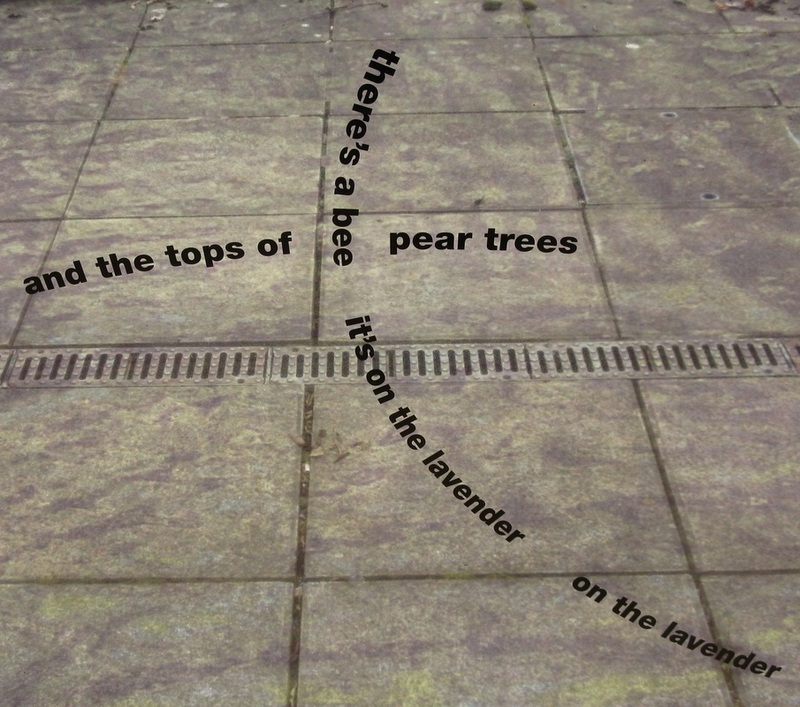 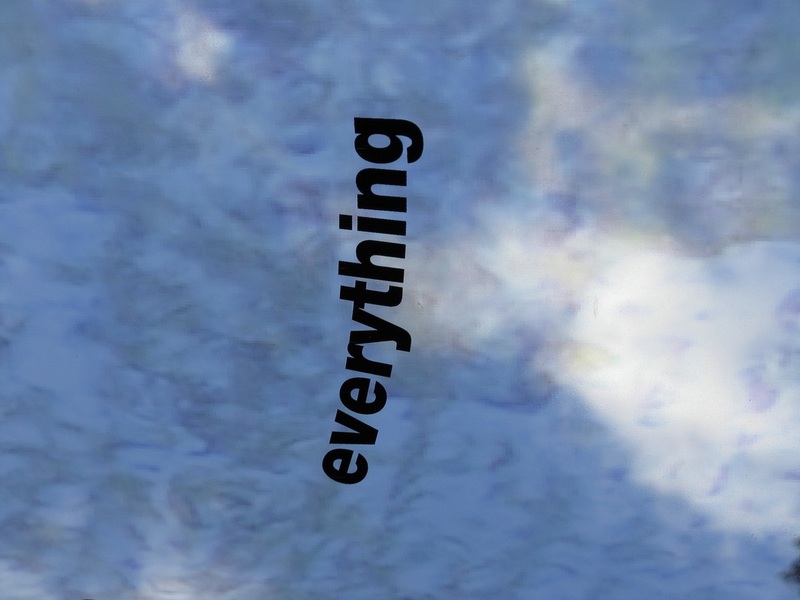 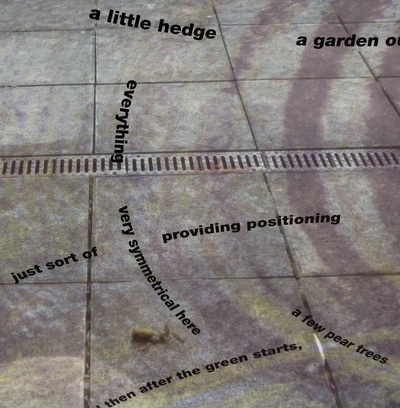 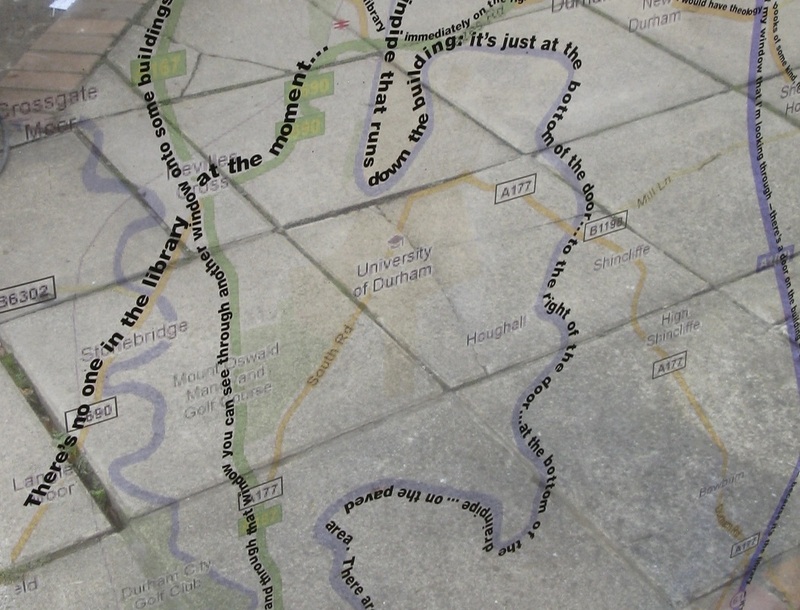 However, for this Writing On Air installation, created for a poetry conference at the University of Durham, such separations were imaginatively mediated by the mediations of language. 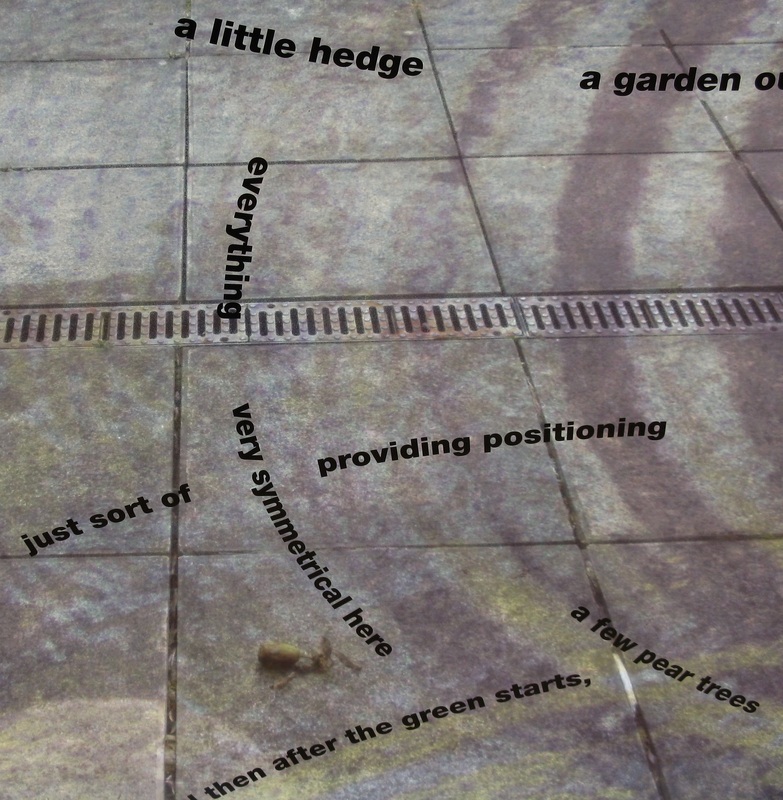 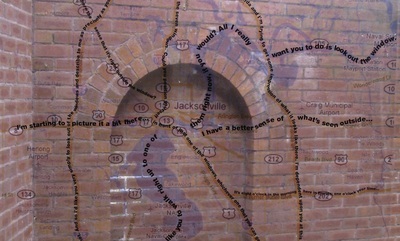 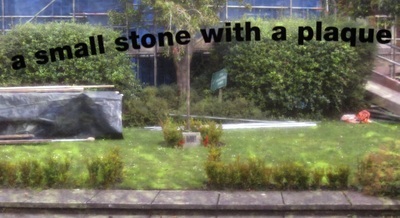 This bridging was realized by using words from a 45-minute telephone conversation, conducted between the two cities, during which the view from the conference room windows was painstakingly described by British students, their recorded voices later adapted and applied for the installation. 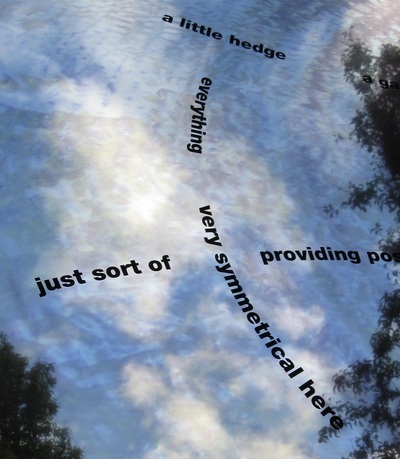 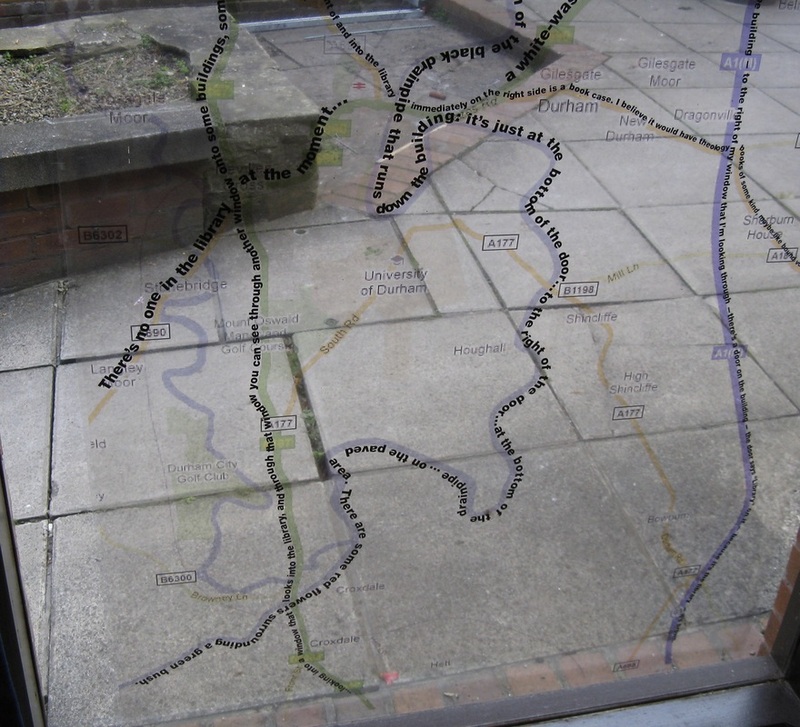 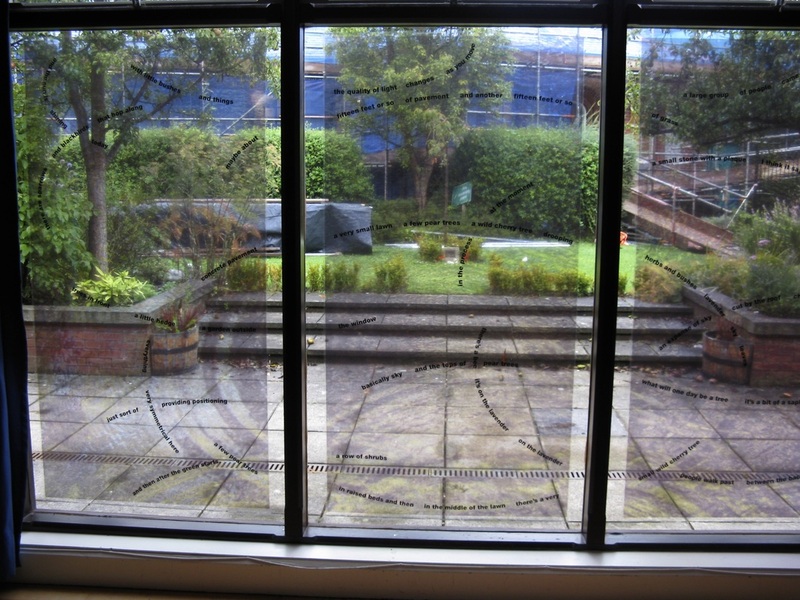 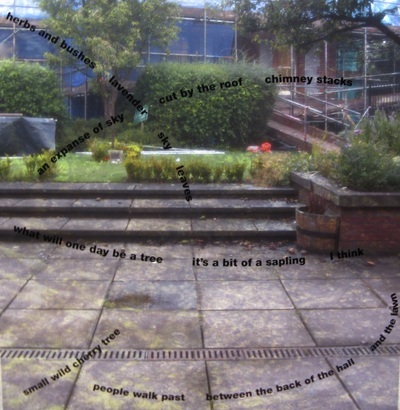 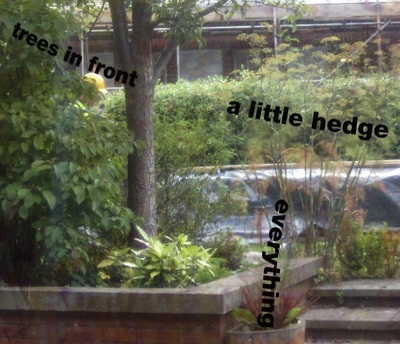 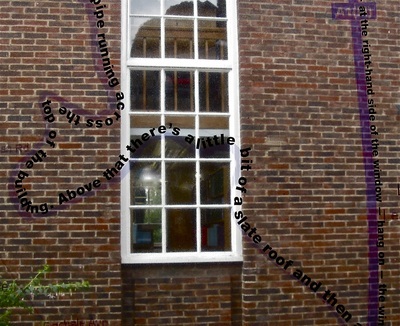 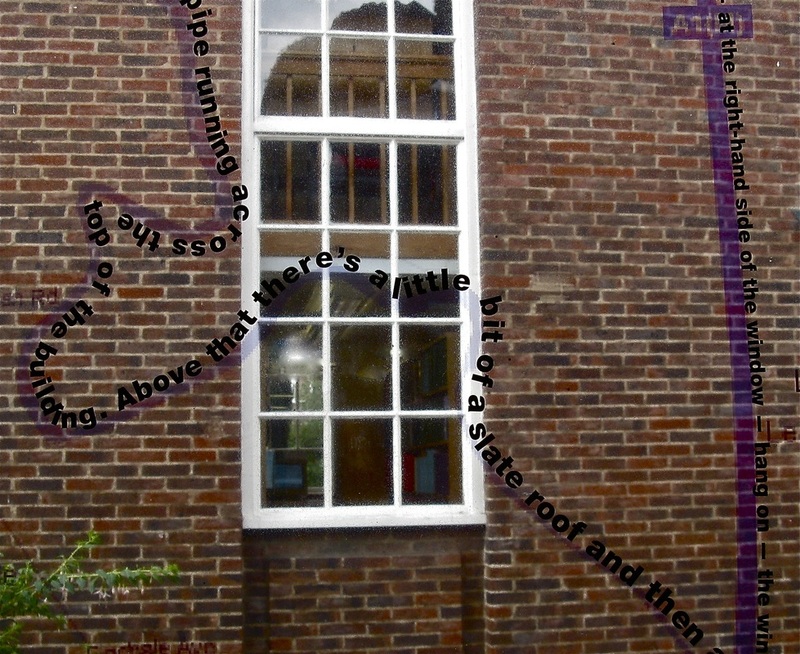 On central windows, words describing the room’s view were printed onto images of water, the lines of language shaping into waves. 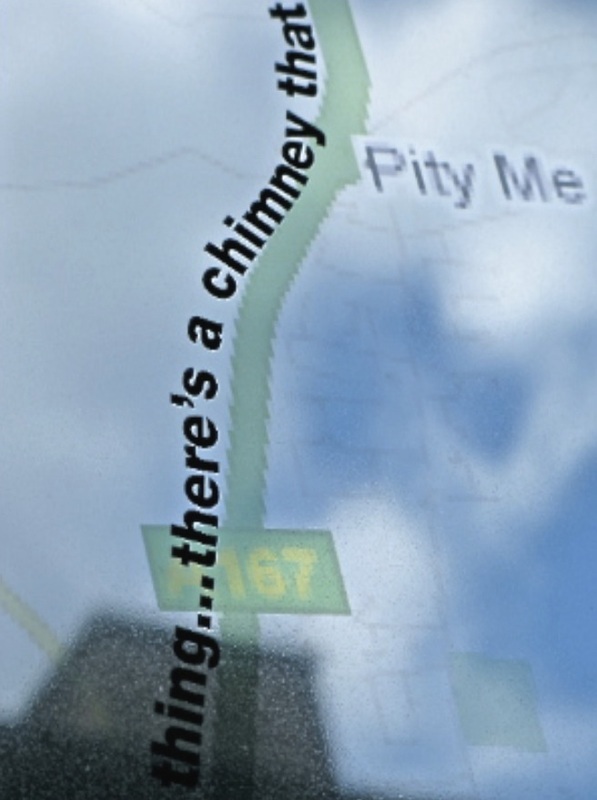 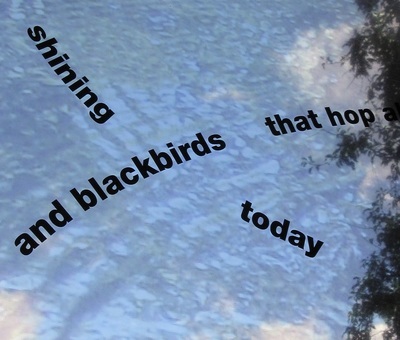 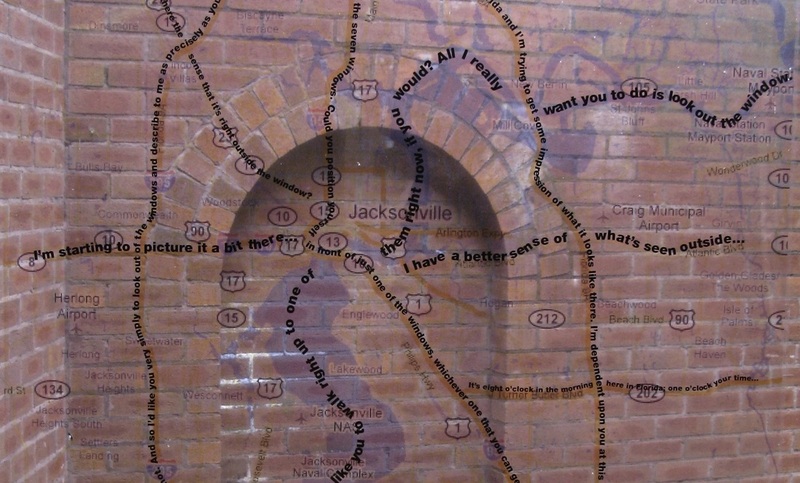 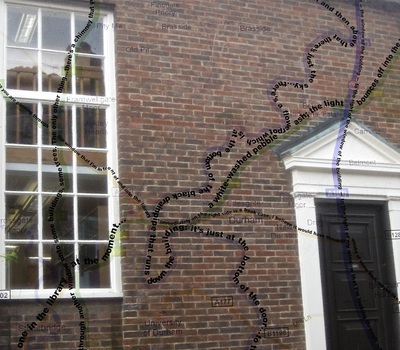 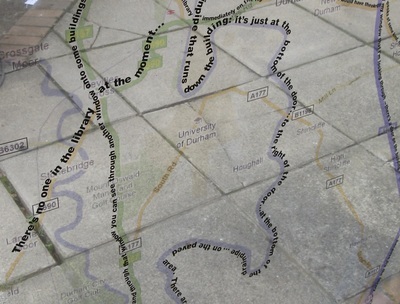 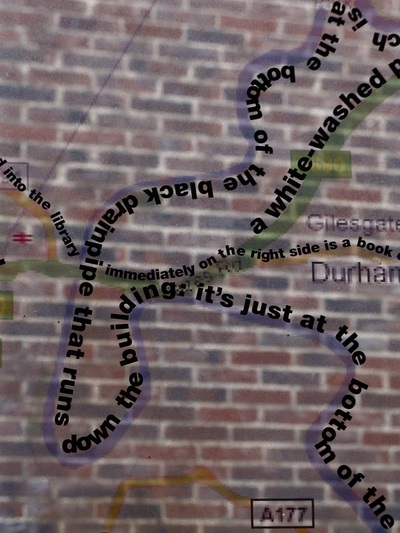 On side windows, the words followed the streets and rivers of Durham and Jacksonville, twisting and turning upon the transparent maps of each city. 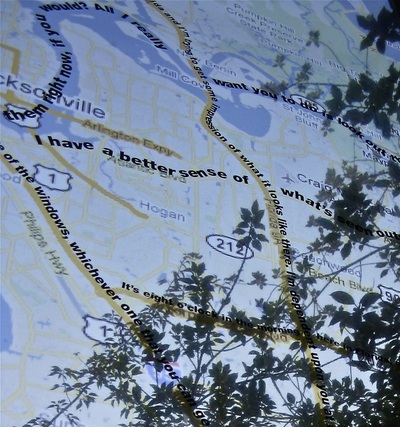 Many thanks to the University of North Florida’s Michael Boyles and CIRT for the vital assistance with this installation.